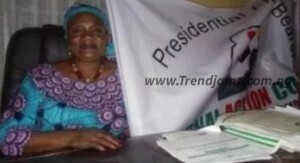 A female presidential candidate on the platform of National Action Council (NAC), Dr Rabia Hassan Cengiz, has stepped down and thrown her weight behind President Muhammadu Buhari of the All Progressives Congress (APC) ahead of next week’s presidential election.Cingiz is the second candidate to quit the presidential race after former Minister of Education, Dr Oby Ezekwesili, of Allied Congress Party Nigeria (ACPN), chickened out. Addressing newsmen in Abuja, she said her decision was based on her belief that President Buhari had done well and therefore was worthy of a re-election. She, however, called on Nigerians to overwhelmingly vote for the APC candidate to enable him entrench the dividends of democracy. Her words “after due consultations with party members and critical stakeholders, I am pleased to inform you that NAC has decided to support the candidature of President Muhammadu Buhari of the APC. She further maintained that Emeka Ezeugo popularly known as Rev King does not belong to NAC, neither is he a card-carrying member of the party even as his presidential posters flood the Federal Capital Territory, Abuja. “Ezeuko Emeka, aka Reverend King is an imposter and those parading him as a presidential candidate of NAC are purely mischief-makers. “All NAC members and well-wishers must disregard and distance themselves from this impostor and his partners in crime now that their evil game of deceit and mischief has been uncovered,” she said.